The mind is a powerful tool and can easily make or break an athlete. Confidence in ones abilities is integral to success. Positive outcomes in a training environment will help reinforce the athlete’s self-efficacy when entering the competitive arena, but when this confidence fades and self-belief diminishes it can have detrimental effects on all aspects of training and competition preparation. Many top athletes have well publicised issues with their self-belief. All athletes will experience a bad day at some junction in their career. Many times it can be overcome, with normal training resuming on the next session. Sometimes, a poor training day can start a spiral of negativity, where the athlete cannot shift the mental block that disrupts progression, making a bad day develop into a poor week or month. This cycle becomes worse as other areas of training are infected, reinforcing the negative beliefs that person holds and having catastrophic effects on their mental wellbeing and outlook. Self-belief can be adversely affected by many different factors: physiological failure when attempting a skill, negative thoughts, fear of the outcome, lack of correct training and pressured situations. This can lead to frustration from the athlete, coach and possibly parent, adding more pressure to the situation, which can emphasise bad habits and behaviours (Arnold, 2013). A lack of confidence can be highlighted in many differing ways and thus it is important for the athlete and coach to recognise the signs before the negativity has a detrimental impact on training and competition. It can be a vicious cycle and one that could take a period of time to overcome. The athlete may become increasingly introvert during training sessions, moody and appearing to lack motivation to try new or challenging things. Pessimistic statements, such as “I can’t” may be spoken, adding to the negative thought processes occurring. Psychological issues may also be recognised in physiological occurrences. They may back away from attempting a skill; for example, in figure skating not completing, or “popping” a jump. They may become anxious or their discipline may decline, turning up late for sessions, allowing them to be less productive. These signs are just some ways in which an athlete can react when lacking self-belief and all further boost the cycle of negative thought processes, diminishing self-confidence and belief. It is important for both the coach and athlete to recognise the beginnings of these actions so that steps can be taken to prevent any long-term damage and wasted time. Once in a mind-set that nothing will be successful, it can be a very difficult and long process to rehabilitate an athletes mind but the good news is that it can be overcome! The below steps are some which can be taken to stop the initial decline or provide help to those lacking self-belief. The coach has an integral part in the rounded development of the athlete, both on the competitive field and general life. To improve, lessons must be learnt and direction from the coach is integral to this, but all critique should be given alongside a positive statement. For example, “You made the exact same mistake as before, are you not even bothering to try and correct it?” is a very negative statement, may demotivate the athlete and make them lose confidence in their abilities. “Good try, I could see you thinking about the correction, but it possibly needs more work before we get rid of that mistake” would be a better phrase, so that confidence is not affected (Feltz & Lirgg, 2001). Visualisation is a key component of many athletes’ training sessions. The key being that they visualise themselves completing a skill successfully, which in turn aids replication during the sport. This can be done with walking through the skill on the floor, sitting and seeing it in their mind, drawing it on paper or a combination of these (Feltz & Lirgg, 2001). Self-talk is also a key component to good self-belief. If talk is negative, thinking will reflect this and the mental block will arrive. Small steps with positive statements and affirmations, starting with ”I can”, or providing a “buzz word” will help someone overcome a fear, metal block or lack of self-belief. Breaking down a skill into manageable pieces enables the athlete to complete what they can do, promoting positive thinking and aiding confidence before tackling the more complex aspects of a skill. Although to a coach this may seem like taking a step backwards, this could stop a plateau in improvement and allow the athlete to continue in their sporting progression. Seeing past, successful outcomes by the athlete will also help them understand that skills can be achieved and this is just a temporary junction in their training. Watching previous performances where the outcome was successful can help with positive thinking, belief and mental blocks (Frank, 2001). Goal setting: this is something which every athlete usually utilises, providing a direction to their training and allowing the athlete to channel their efforts. Short and long term goals need to be set and these need to be realistic so that the athlete maintains motivation and drive. Writing these down often helps and regular reviews of goals will keep the athlete’s focus fresh (Weinberg, 2010). Providing a training partner of a similar standard may help some overcome their fears or mental block. Peers can be extremely helpful with their encouragement, training at the same time to provide a boost in motivation and friendly competition. This could possibly help some athlete’s get back into a positive, motivated mind-set aiding self-confidence. All of the above may collectively help banish negativity. As all athletes are individuals some may work better than others. Keeping a positive frame of mind whilst training and competing will ensure that satisfaction is achieved, self-belief remains high and goals are accomplished. Feltz, D.L. & Lirgg, C. D. (2001) Self-efficacy Beliefs of Athletes, Teams and Coaches. Handbook of Sport Psychology. 2nd ed. 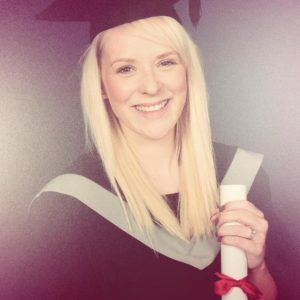 FdSc Sports Science graduate, ex-British champion & international figure skater.